Resto Review – Crustacean Cuisine at Rock Lobster Food Co. I am seafood crazy. I could live on the stuff. I love it all, but my very favourite is lobster. I could eat lobster breakfast , lunch and dinner every day. In Vegas, there is place at Miracle Mile in Planet Hollywood called Lobster Me. They feature takeout, fast food LOBSTER. Lobster mac and cheese, lobster grilled cheese, lobster rolls, lobster and waffles and even the lobstercicle ( lobster tail on a stick). Needless to say, I love it there and often longed for some place similar a little closer to home. Enter, Rock Lobster Food Co. In early 2011, Matt Dean Pettit started Rock Lobster Food Co., Canada’s first Lobster centric food company. His company specializes in showcasing lobster and making it more accessible for Canadians to eat on a more regular basis. 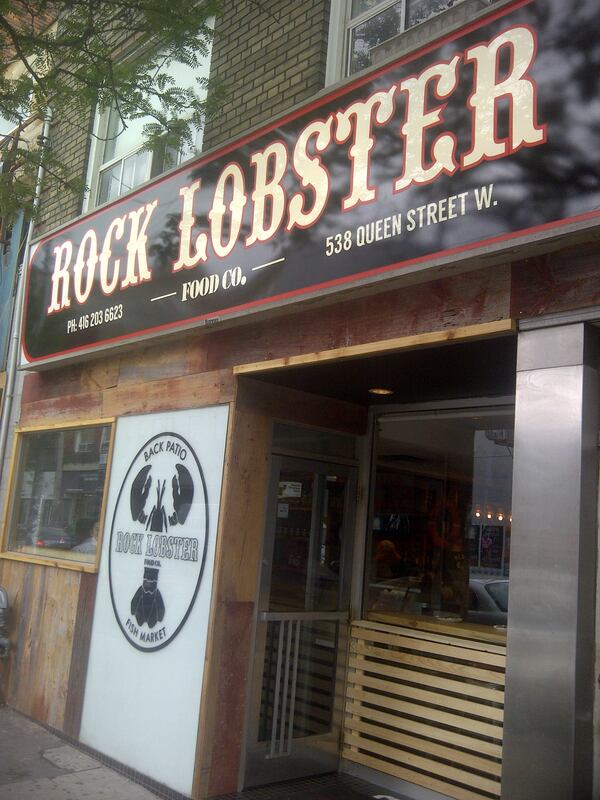 Rock Lobster Food Co. has had a very successful pop up lobster shack in Kensington Market which eventually led to the opening of a restaurant on Ossington in downtown Toronto. The massive success of the restaurant allowed Rock Lobster to recently open its second location on Queen West, and I could not wait to check it out. 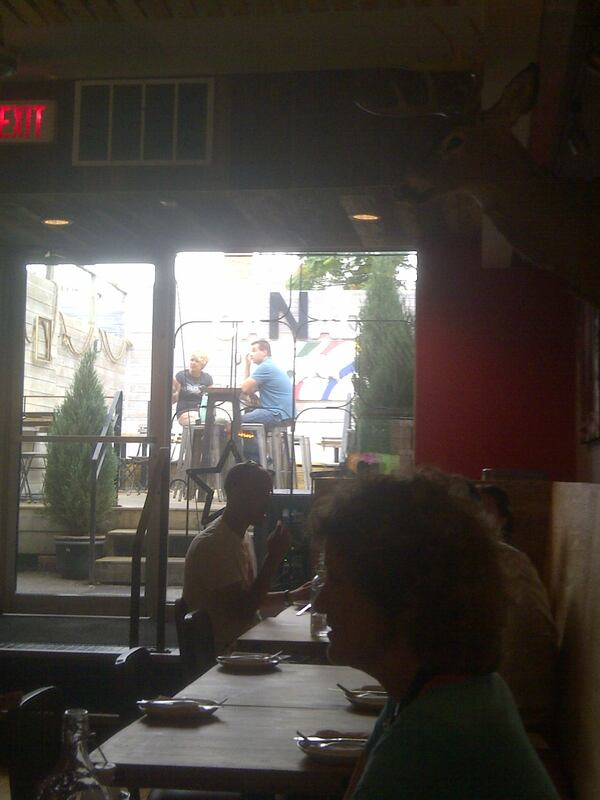 The tone upon entering Rock Lobster on Queen is whimsical, like a Canadian themed seafood shack. 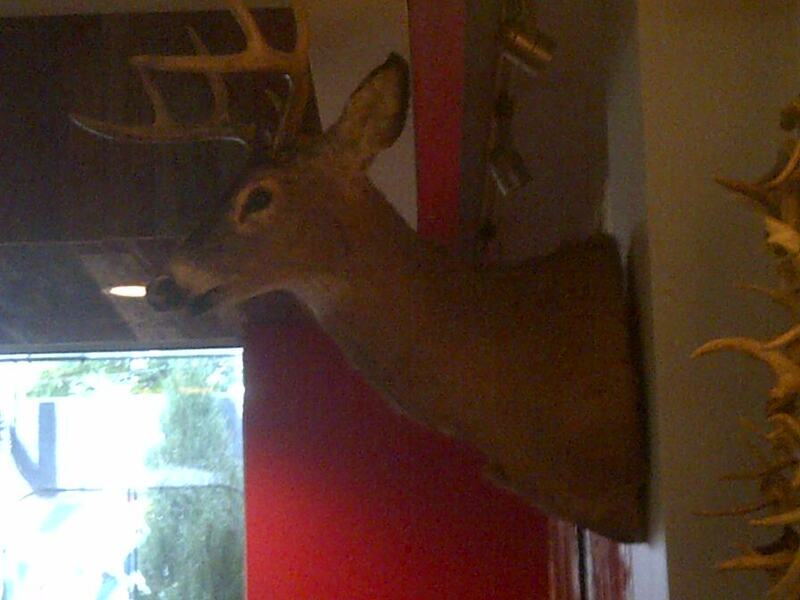 The walls are lined with Canadiana, like this guy. 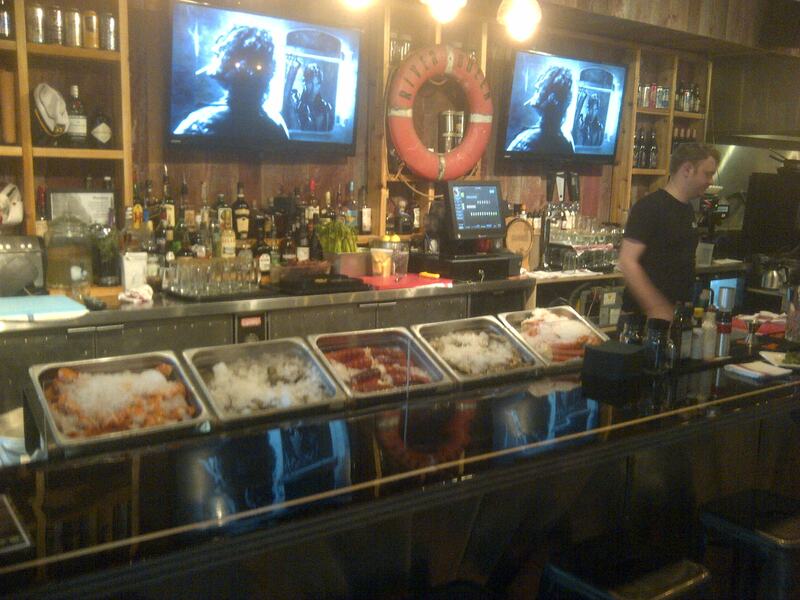 Fresh seafood is on display at the bar. It feels fun and welcoming. There is a large patio in the back of the restaurant which many will remember if you ever ate at its predecessor in this location, Shanghai Cowgirl. On this particular afternoon it was raining cats and dogs so we opted to sit indoors. The restaurant also features fresh seafood market right at the bar, Fish Monger , Blair was incredibly friendly as he let us know where all of the seafood was from. I wanted to buy the $25 one lb package of fresh lobster meat but I knew I wouldn’t be heading home until later that evening so that probably would not be a good idea. I will definitely be picking one up in the near future. Immediately upon entering the staff are extremely friendly. The bartender says hello and asks how our day is going. We are shown a table and soon after we meet our server , Anastasia. After learning that this is our first visit, she lets us know that our tummies are in for a treat. She told us about the daily special ( jalapeño fish ceviche ) and let us know what fresh oysters were on hand. Anastasia was genuinely welcoming, and well-informed about the menu. She offered excellent suggestions for our lunch. She came to check on us frequently, and even suggested we stay at our table even after we had eaten and paid because it was pouring rain outside. As a seafood lover, this menu was a dream come true. Since we were in for a light lunch we decided on lobster poutine, lobster roll and some raw oysters. 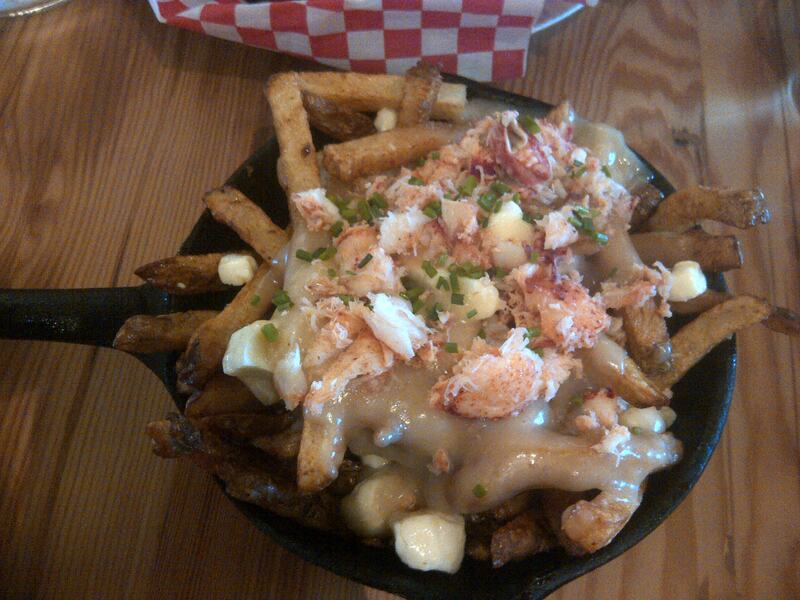 The lobster poutine was plated on a mini skillet. It featured Yukon hand cut fries, lobster bisque gravy, Québec cheese curds, fresh lobster meat and chives. It tasted as good as it sounds. The lobster bisque gravy was tasty but not overly rich and the dish featured lots of fresh lobster meat for every bite. I had wondered what the combination of lobster and cheese may be like and I have to say it was a match made in heaven. I wanted to be sure and try the lobster roll, as it is what made Rock Lobster famous! I am not usually a fan of anything mayo based, but the lobster mixture on this sandwich was not overly creamy and well seasoned. 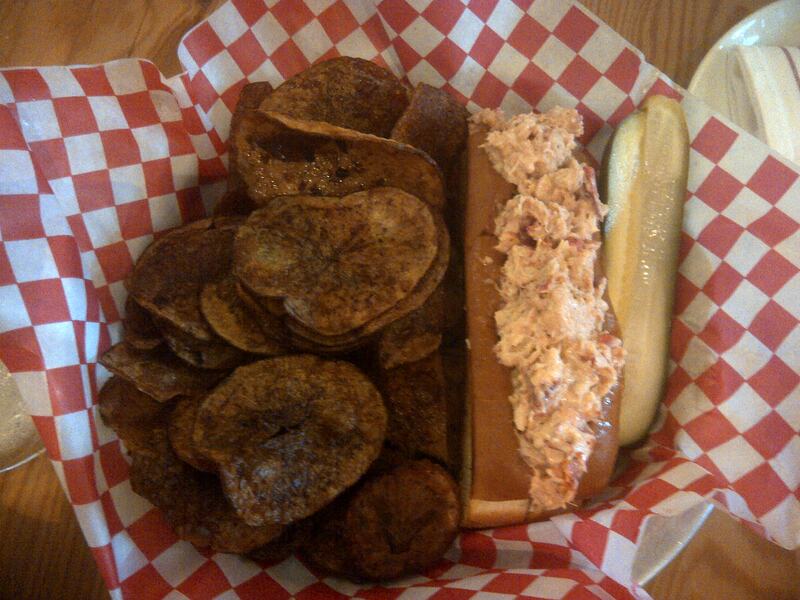 The sandwich was dense with lobster meat and came accompanied by Yukon potato chips and a McClure’s pickle. At first look, I thought the chips may have been burnt, but they were perfectly delicious with a hint of salt. 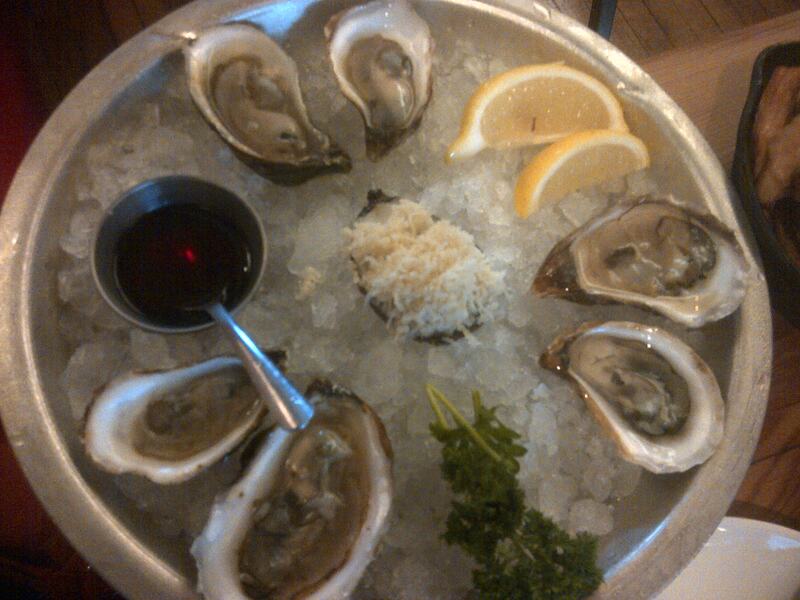 Lastly, we decided to try some raw oysters on the half shell. They were fresh and delicious, served with horseradish and vinegar. They capped off the lunch perfectly. Although we did not partake in alcoholic drinks during our lunch, they offer some options worth mentioning. They offer a selection of wines on tap, some varieties at only a dollar an ounce. Amazing! Also, their house Caesar features steak spices, Tobasco and…a Nova Scotia lobster tail! Our lunch came to a total of about $45. The lobster roll was $14, and poutine was $13. The oysters were $2.25 each. I think this is absolutely justified for fresh, high quality seafood. I definitely appreciated the fact that the lobster dishes were full of dense meat and not filler. I loved Rock Lobster. It is a unique concept that I think will do really well in our city. They have a fantastic menu with options for non-seafood lovers, even though I can’t understand how anyone could NOT love lobster :P. The delicious food paired with super friendly and knowledgeable staff made this a stellar experience , and I cannot wait to go back. 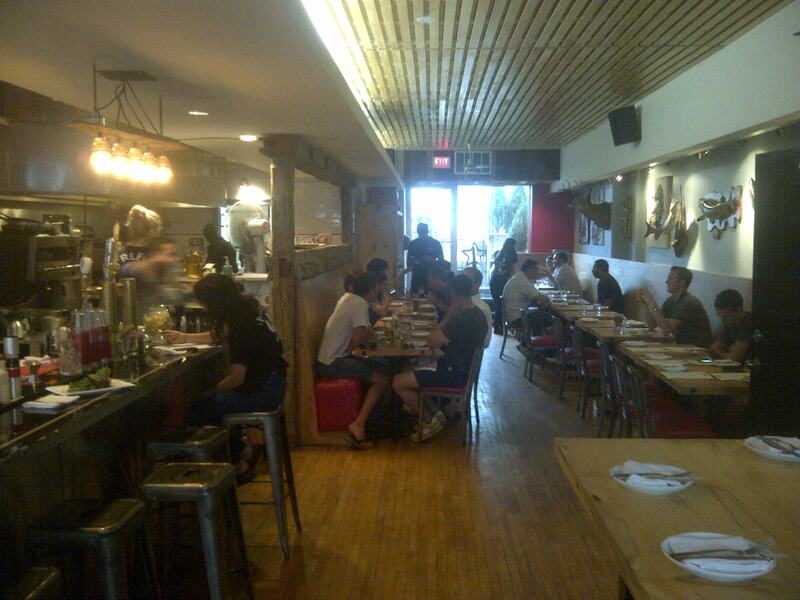 Have you been to Rock Lobster? This sounds heavenly!…and such decadence for such a reasonable price. Thank you so much for sharing this with your readers! I would have never known about this place, and it sounds like something that should definitely not be missed! Your pictures made me want to eat my computer screen. 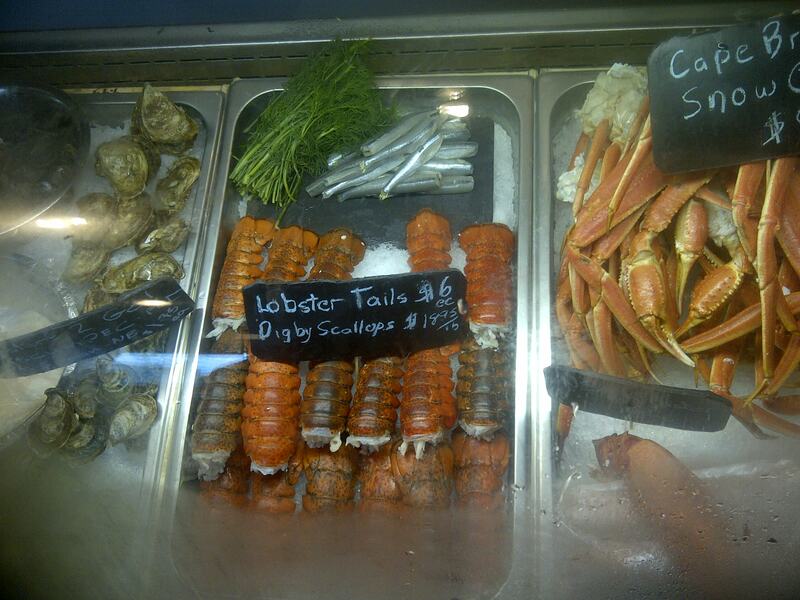 I just found out that the Ossington location of Rock Lobster has a Sunday night lobster dinner special for $25 . Cant beat that! Whaaat? That is actually pretty amazing!